Last issue, we heard from application reader and admissions counselor Amanda Rodriguez about what she experiences recruiting and selecting students for a small, public STEM school. To catch up from the first section of our interview with Mines, click here. Today, we continue our conversation with Amanda and learn what she thinks are the secrets to college admissions. Amanda at Mines: “That’s a good question. I would say that in our process, there’s really not a secret. I think people know that our office in general is very communicative. We email students, we talk to students on the phone, we talk to people who walk in our front doors. There’s four admissions counselors on the team and all four of us review applications for the first time around. So we’re pretty honest since we all know what that process looks like. As I mentioned before, we’re recruiting and we’re reading applications so it’s very easy for us to sit down with a family and talk to them realistically about what their odds are when they’re looking at Mines. I think people know that Mines is a very prestigious STEM school but if you look at our acceptance rates they’re actually quite high compared to an MIT or Stanford or Caltech or something like that. Our acceptance rate this past cycle was about 49%, so students who are academically qualified and who have other qualities that we’re looking for — teamwork, leadership skills (are they well-rounded students? ), and they applied early — chances are they’re going to get in. We’re mainly just looking to see if a student is prepared to be successful here and Mines is harder than just a large state school. Amanda at Mines: “For Mines, I would say teamwork skills is important to display. Some students will just put on their listed activities “Oh, I played football or I played a sport or whatnot,” but really we want to know what that looked like for them. At Mines, you have to do a lot of studying together and a lot of group projects, so we like students to really outline for us what are your teamwork skills. Don’t leave that up to guesswork. Obviously, we’re practiced and seasoned admission counselors and we know typically what that looks like and can pretty well gauge what these teamwork skills look like. You don’t ever want to leave that up to someone else’s decision, if you can, right? If that’s in your hands, that’s something that you can talk more in depth about then that’s definitely beneficial. Mercy at SocratesPost: “That’s a great tip if someone has Mines as their first choice college. They should already be wanting to talk to you and engage with your team, visiting campus, getting to know maybe some of the current students. It’s something that students don’t think about all the time because they’re so focused on packaging their resume and writing that essay, but that engagement aspect is a really good insight that you have there. 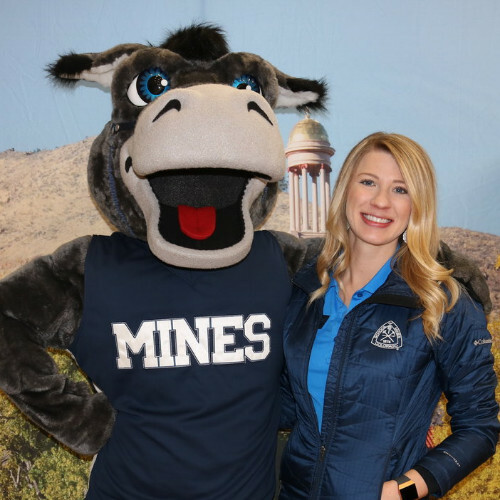 Mercy at SocratesPost: “The theme that I’m learning about Mines is the long-term relationship from the recruiting side to the reading of applications, from helping integrate the students into campus to even guiding the students who weren’t admitted. You’re looking at how can they optimize their potential and to eventually come to Mines even if they’re not starting their first year there. This week, we selected a question from Angela, a student in Canada. To give you a little sneak peek behind the scenes, I answered her question on video. If you’ve ever wondered what I looked like in high school and college, play the video to view some old pictures! 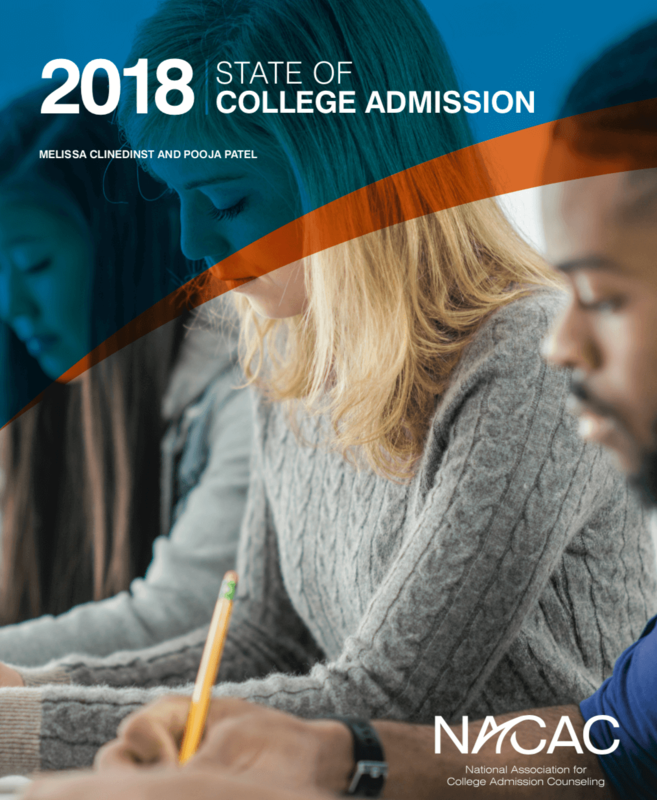 The National Association for College Admissions Counseling (NACAC) recently released their annual State of College Admissions report. The report gives a numbers-based overview of this year’s trends in American college admissions, ranging from acceptance rates, application growth, selection factors, and more. Thousands of admissions officers, high school counselors, and researchers contributed to the annual Admissions Trends Survey and Counseling Trends Survey. SocratesPost read through the 40-page report and got you The Skinny. 1. You’re competing against more college applicants and seeing more headlines on record application numbers. Between Fall 2016 and Fall 2017, first-time freshmen (the most common) applications to U.S. colleges increased 4%. Transfers increased 3% and international applications increased 8%. Most colleges cannot increase the number of seats offered to new students. Therefore, applicants face even greater competition. What this means for you: a strong application is more important than ever. The average U.S. college acceptance rate increased slightly from 65% in Fall 2013 to 66% in Fall 2016 for first-time domestic freshmen The Ivies and other highly selective colleges like MIT, Stanford, Northwestern, UChicago, etc. are constantly grabbing headlines with their record-low acceptance rates. But as a whole, American colleges are actually accepting more students. 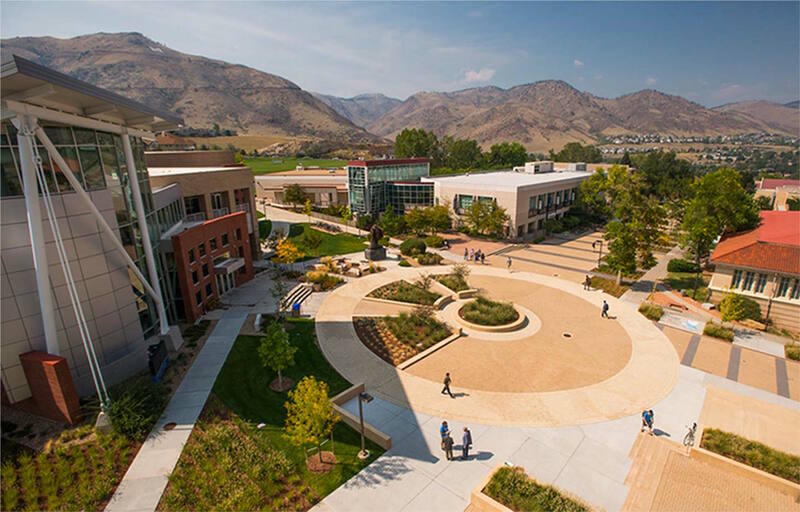 Private colleges (including those schools listed above) saw a 6% lower acceptance rate than public colleges.